Welcome to my homepage. I am employed as (tenured) assistant professor at the Donders Institute for Brain, Cognition and Behaviour, and associate PI within the Donders Center for Cognition. My research interests are mainly in theoretical computer science, theoretical/computational neuroscience, cognitive science, and artificial intelligence; in particular in interdisciplinary research that crosses the boundaries between these fields. In the Brain (Inspired) Computing group we study fundamental properties of information processing in the brain (most particularly in the Predictive Processing account) and in neuromorphic hardware inspired by the brain. 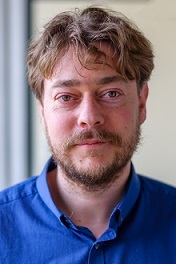 The diversity of approaches in my lab reflects my interdisciplinary interests; it ranges from neuromorphic algorithm design, via complexity analysis of approximate Bayesian computations, to conceptual analysis, developmental robotics, and behavioural experiments. I teach in the Artificial Intelligence program and I am coordinator of the Master in AI program. On this pages you will find information about my research interests, an up-to-date vita, list of publications and talks, teaching info, indicative thesis projects, and some links, both professional and some a bit more personal. Disclaimer: As I normally don't have any financial means to provide anyone with a funded (summer) internship, it is useless to solicit for such an internship, a TA or a RA position, unless explicitly advertised. You are welcome, however, to contact me if you're supported by a fellowship or travel grant and interested in visiting our group and work on a thesis or smaller project. Other disclaimer: I do not respond to bulk emails that invite me to such-and-such unrelated conference or to publish in a random journal. They automatically end up in my spam folder. If you honestly think there is a good reason why I should visit or publish in your venue, bypass this spam filter by writing an intelligent message that articulates the commonalities. Office hours: In principle, every Monday 16.00-17.00, in room B.01.18.